Essayist, literary and art critic, translator. His childhood was spent with his parents on diplomatic postings in Madrid, Bucharest, Vienna, Königsberg, and Munich. 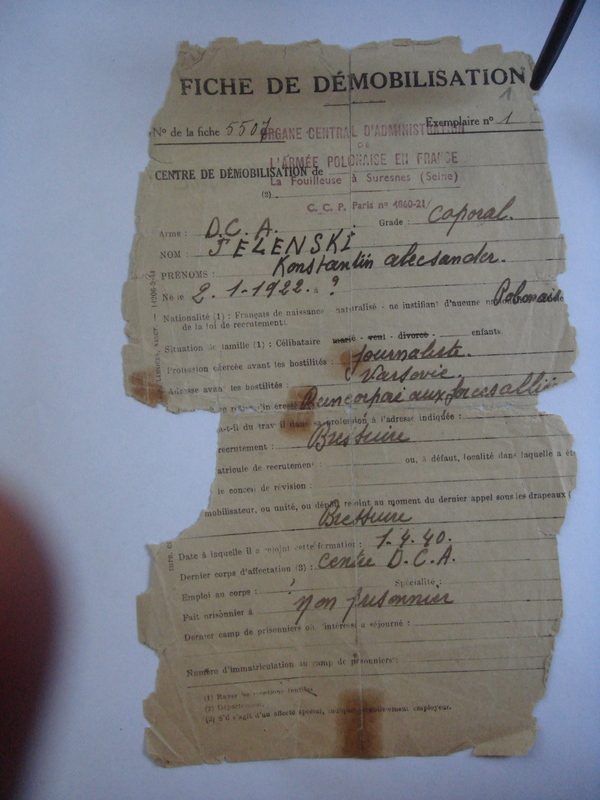 Jeleński joined the Polish army in France, and later transferred to England. Here while in uniform, he studied economics, politics and history at Oxford. In 1944 he fought in Normandy, Belgium, and Holland in the Polish 1st Armoured Division commanded by General Stanisław Maczek, and was on the editorial team of Dziennik Żołnierza 1. Dywizji Pancernej (1st Armoured Division Soldier’s Daily). 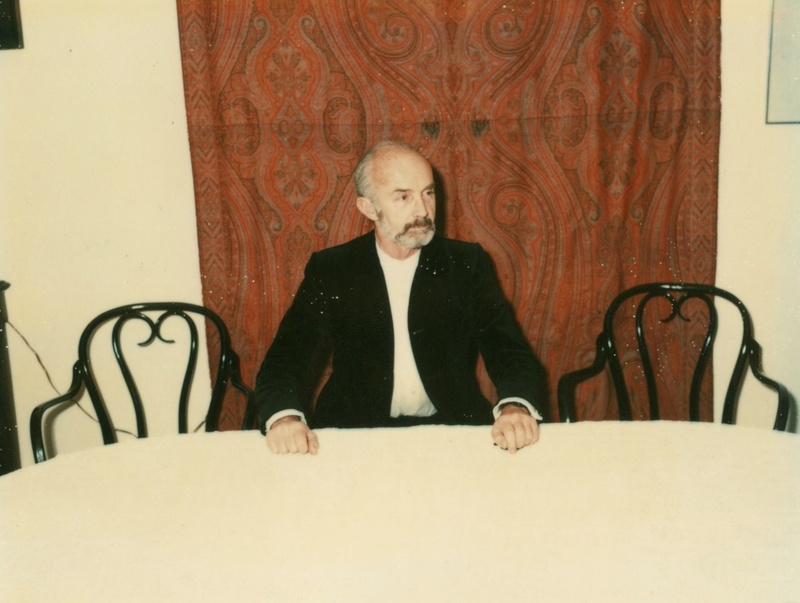 After the war Jeleński stayed in the West, working in the International Refugee Organization in Naples and in the UN Food and Agriculture Organization in Rome. In 1951 Jeleński met Leonor Fini, an Argentine surrealist painter of Italian origin, and moved to Paris to live with her. Between 1952 and 1973 he worked in the secretariat of the Congress for Cultural Freedom (CCF), and in 1953–69 was on the editorial team of its journal Preuves. In 1955 he co-founded a committee, later a foundation, that gave assistance to creative talent from the Eastern Bloc. Between 1973 and 1976 he managed the Centre Royaumont pour une Science de l'Homme in Paris, and later was an adviser to the French National Audiovisual Institute. Jeleński was multilingual, writing for the English, American, French and German press. From 1950 Jeleński was a member of Giedroyc’s inner circle of associates: thanks to his work in the CCF and contacts in the West he could help to promote Polish literature and Polish writers, among them Czesław Miłosz. He was the first to translate Witold Gombrowicz into French. From 1954 until its suspension in 1967, he was on the jury of the Kultura Literary Prize. Between 1953 and 1955 he compiled for Kultura regular reviews of other monthly journals and publishing events. He also wrote essays – analyses and think-pieces on contemporary Polish and French literature, painting, and art generally. Jeleński also wrote on the fascination communism held for left-wing Western intellectuals – he was particularly interested in how they could selectively block out of their consciousness the existence of Soviet prison camps, the Moscow Trials, or the 1953 East Berlin Uprising. He made his voice heard in political matters, for example in support of the signatories of the “Letter of the 34”, or in condemning anti-Semitism and the suppression of the student protests in March 1968. 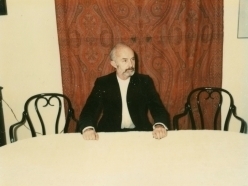 Jeleński was awarded Kultura’s Zygmunt Hertz Literary Prize in 1982. Other prizes included the Kościelski Foundation Prize in Geneva in 1964; the Alfred Jurzykowski Foundation Prize in New York in 1965; and the Polish PEN Club Prize for the Translation of Polish Works into Foreign Languages in 1981.